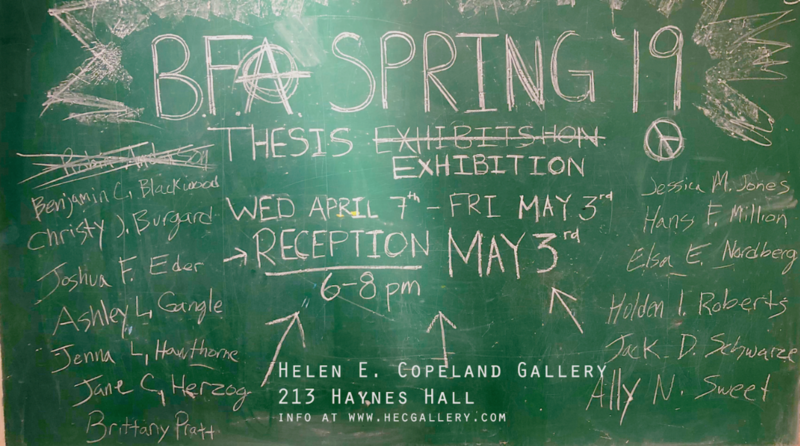 The School of Art at Montana State University is pleased to announce the exhibition “Art in Jeopardy: Work from the School of Art Archives” at the Helen E. Copeland, located on the second floor of the School of Art in Haynes Hall, Bozeman MT. The show will be on exhibit until Wednesday July 20th, 2016. The Closing Reception is Wednesday, July 20th, 2016 from 6:00-8:00 p.m. and will be free and open to the public. Refreshments will be served. On view will be work from the MSU School of Art Archives, most of which has not been seen in over 30 years. As we try to archive and document the work for an online presence, it has become apparent that there is a great deal of information that is missing about the pieces in the collection, including artists, dates of creation, titles, and provenance. We invite the public to an evening of refreshments and to help us answer the mysteries of our archives. Sticky notes will be provided to anyone who has information about the work. Viewers can write down their details or theories about specific work and place them next to the piece in question. Artists on view include Harold Schlotzhauer, Vito Acconci, Will Barnett, Ernie Pepion, Mac Raboy, Robert Smith, and Kathë Kollwitz.